We are experts in drilling 6½",4.75” & Tractor Mounding 6½" borewells with super fast hydraulic rigs with experienced & qualified geologists. We have expertise in desalting & cleaning of damaged borewells, earth pits, all types of borewell drilling for domestic & industrial purpose, site chosen by scientific method, compressor hiring and borewell servicing, etc. Widely preferred well drilling contractor by customers operates a vast range of drills from top drive multipurpose rigs to percussion cable tools, backed with support vehicles and ancillary equipment to cover most phases of borehole drilling. A borewell must be flushed periodically for the best yield and safety of the borewell, because ground water may change any time. 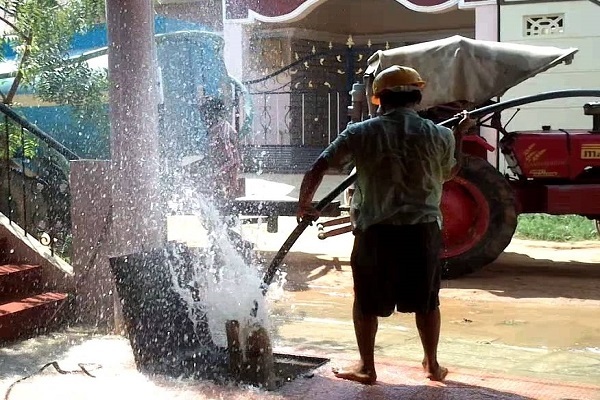 We have great expertise in flushing and cleaning borewell through high pressure air compressor,Our company is recognized as a leading borewell cleaning solutions provider in Indore. 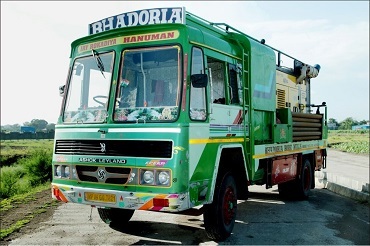 The frontrunner borewell cleaning contractor offers its services at very cost effective prices round the clock to meet complete customer convenience. A pump-jet, hydrojet, or water jet is a marine system that creates a jet of water for propulsion. The mechanical arrangement may be a ducted propeller (axial-flow pump), a centrifugal pump, or a mixed flow pump which is a combination of both centrifugal and axial designs. The design also incorporates an intake to provide water to the pump and a nozzle to direct the flow of water out of the pump. A pump-jet works by having an intake (usually at the bottom of the hull) that allows water to pass underneath the vessel into the engines. Water enters the pump through this inlet. 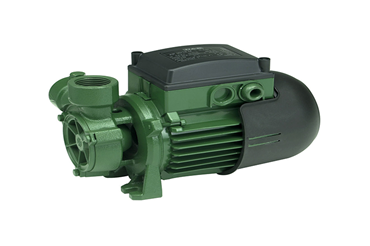 The pump can be of a centrifugal design for high speeds, or an axial flow pump for low to medium speeds. The water pressure inside the inlet is increased by the pump and forced backwards through a nozzle. With the use of a reversing bucket, reverse thrust can also be achieved for faring backwards, quickly and without the need to change gear or adjust engine thrust. The reversing bucket can also be used to help slow the ship down when braking. This feature is the main reason pump jets are so maneuverable. Hand pumps are manually operated pumps; they use human power and mechanical advantage to move fluids or air from one place to another. They are widely used in every country in the world for a variety of industrial, marine, irrigation and leisure activities. 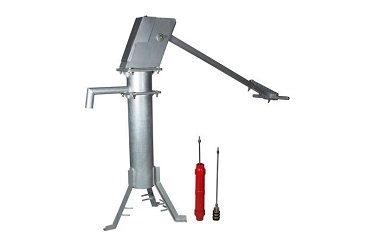 There are many different types of hand pump available, mainly operating on a piston, diaphragm or rotary vane principle with a check valve on the entry and exit ports to the chamber operating in opposing directions. Most hand pumps have plungers or reciprocating pistons, and are positive displacement. Hand pumps are commonly used in developing countries for both community supply and self-supply of water and can be installed on boreholes or hand-dug wells.One sort of pump once common worldwide was a hand-powered water pump, or 'pitcher pump'. It was commonly installed over community water wells in the days before piped water supplies. In parts of the British Isles, it was often called the parish pump. Though such community pumps are no longer common, people still used the expression parish pump to describe a place or forum where matters of local interest are discussed. One sort of pump once common worldwide was a hand-powered water pump, or 'pitcher pump'. It was commonly installed over community water wells in the days before piped water supplies. 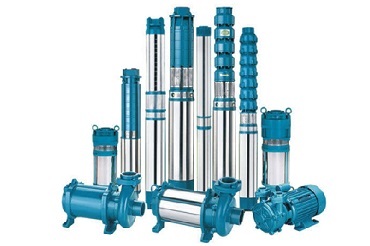 Application Of Openwell Submersible Pumps-Industrial & public water supply schemes, Domestic water supply, Lift irrigation schemes. Drip/ Sprinkler Irrigation schemes, fire lighting, booster application, cooling water. Circulation, Ornamental fountain installation and air conditioning plants. Dewatering of mines, offshore, platforms, etc. Construction of Openwell Submersible Pumps-Wet squirrel cage induction type, water cooled, water lubricated motor. All bearings are water lubricated. Monoblock - is nothing but the motor(the prime mover of the pump) and pump are build together in the same housing. that is there is no need of any coupling device between the two shafts since the shafts are coupled directly. It enjoys a unique design that helps in the prevention of overloading and the burning of the motor. With dynamic balanced rotating parts, there is less noise and vibration while functioning. 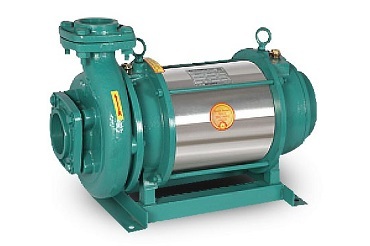 A monoblock pump is designed in a manner that there is automatic release of air while priming. The pump gets easily installed and maintaining them is also quite easy. 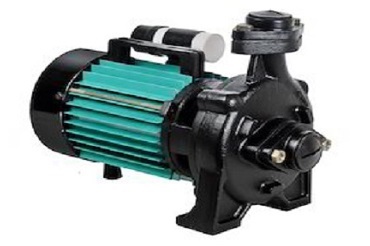 This pump has a sturdy design as they can endure three phase voltage fluctuations.